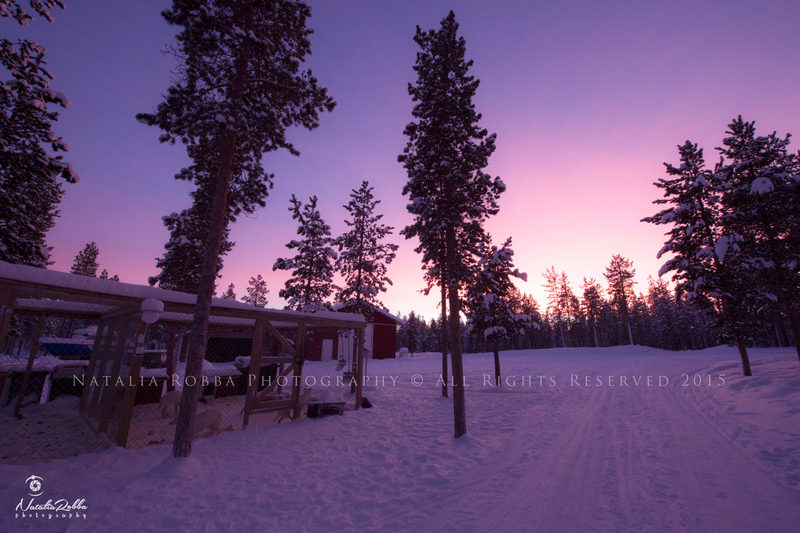 I recently returned from a lovely trip to the Arctic once again, to Ivalo in Finland. My readers will probably know by now that I tend to put a lot of research into each destination in terms of light pollution, easy of access, amenities and available activities. 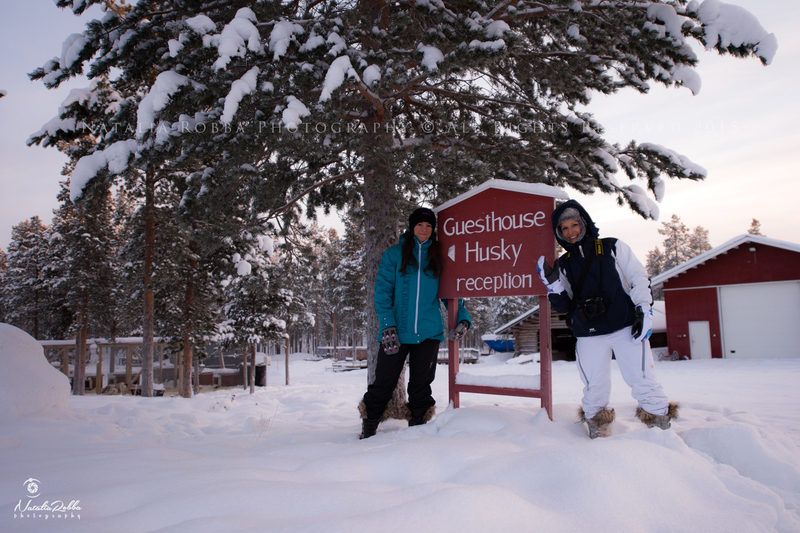 This time around I stayed at Guesthouse Husky, just a 20 minute taxi/car rental ride from Ivalo Airport. So here is my review on this lovely family owned establishment. I will group my opinions in headings that should be of interest to most Aurora hunters and given them all ratings out of 10. 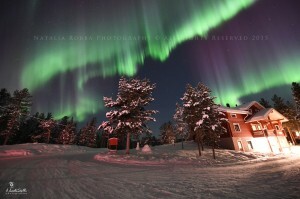 As a Northern Lights destination Guesthouse Husky ticks all the boxes. Located at roughly 67 degrees corrected geomagnetic latitude its in a great location for Aurora viewing close to the ‘Auroral band’. There is a clear view to the skies all the way around the lodge, with just some tree-lines on the lower horizon. There is also few manmade structures nearby to detract from the beautiful surroundings, the wooden main lodge and outhouses all blend beautifully into the surroundings. Located further inland than other Aurora destinations at a similar latitude means ‘statistically speaking’ Ivalo in Finland’s weather is a little more stable and is less affected by the coastal weather extremes that plagues much of coastal Norway and some parts of Sweden. 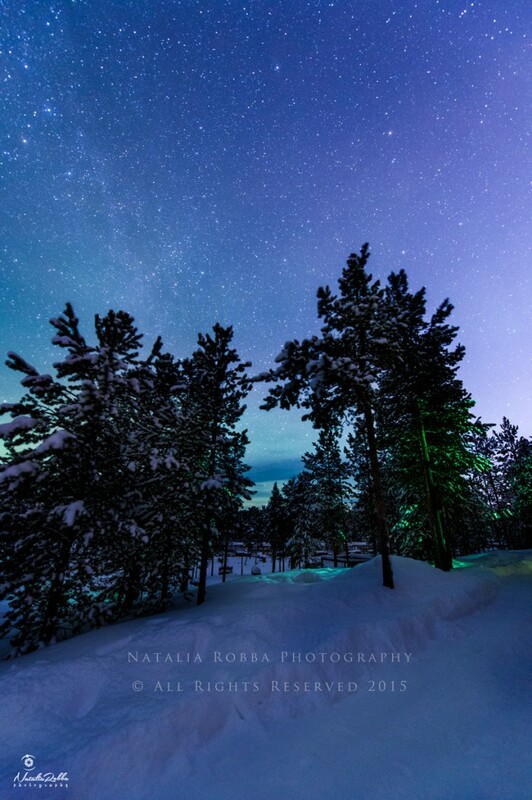 Of course there is always the chance of cloud cover in any of these destinations especially when visiting in winter, clear skies are never a guarantee, but during my stays in northern Finland I have generally had a higher occurrence of clear skies the further inland I headed i.e. staying in Finland. Be ready though, it can also be quite a bit colder being further from the coast! 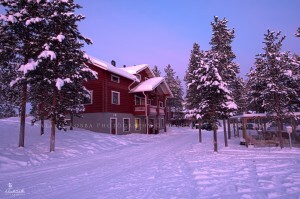 The lodge itself is very cozy and welcoming and is based on three floors. There are two entrances into the lodge. One onto ground level from the front of the lodge, and the other to the first level from the back of the lodge. At ground level there’s the reception, and dining area as well as the Sauna. 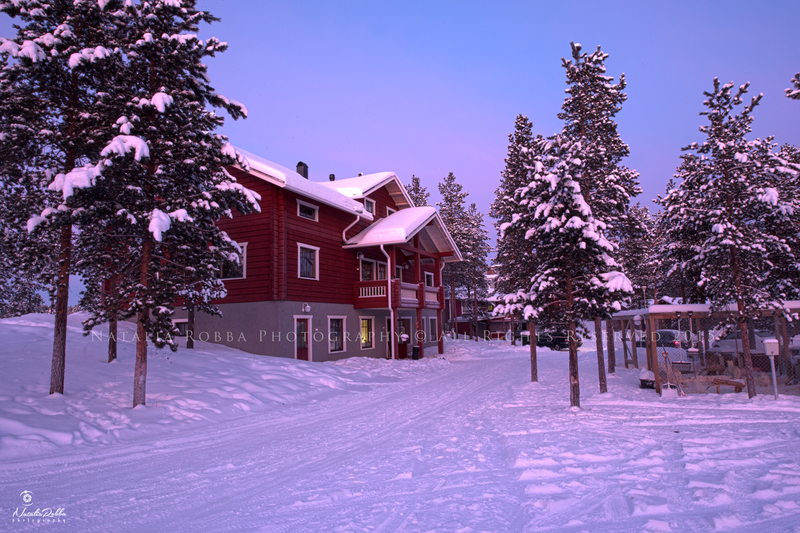 On the first and second floor are guest rooms which are very cozy, warm and spacious, with windows to see outside to check on the Aurora. There’s also a communal kitchen area on the first floor, I spent much of my time there working on Aurora photos and blogging. All in all the accommodation is clean, tidy and welcoming and the host Outi is a lovely woman that’s very helpful with any queries you may have. Homecooked food is served if you choose the lunch and/or dinner options during your stay and you should definitely give it a try on at least one of your days. We decided to sample both for most of our stay and the food was consistently tasty and wholesome and we always left with a happy full tummy. 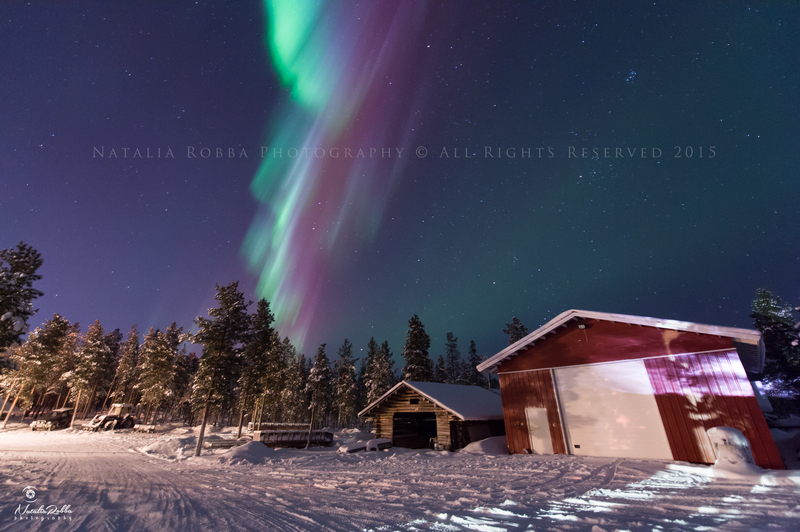 As an Aurora hunter I don’t normally look at activities as a focal point when I visit. But normally end up doing one or two tours depending on budget/time. The dogsledding was a lot of fun and very reasonably priced compared to other operators I’ve used in Norway and Sweden. 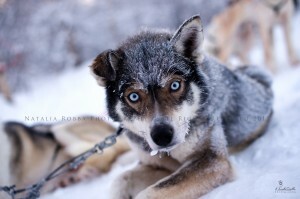 The dogs are beautiful, well taken care of and so full of zest and enthusiasm. 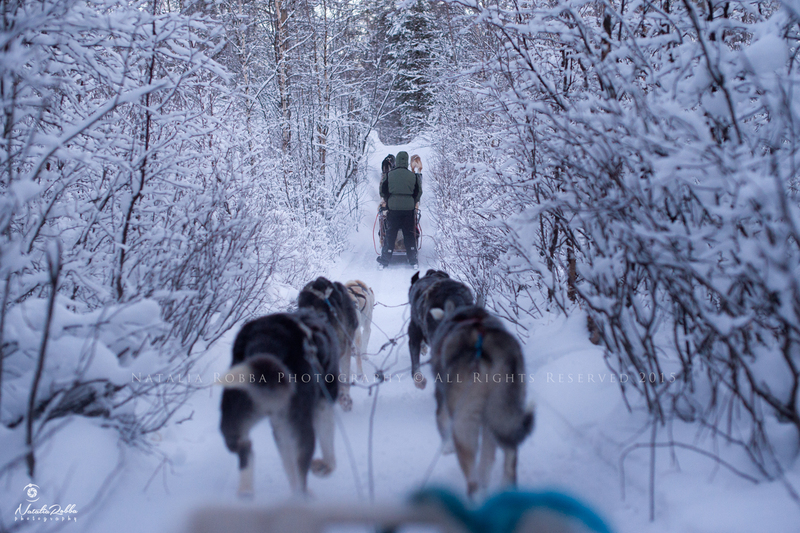 The trail is beautiful and you get to drive the sled yourself and/or share with a second party member. They also offer snowmobile tours of different durations that also give you the option to visit a Reindeer farm. A good idea if you’d really like to see Reindeer as they don’t come out to play too much in the Winter in the wild! There’s a bunch of Aurora tours available too, but honestly I found the lodge was perfectly suitable as a Northern Lights base. My main reason for rating slightly lower here is that I’ve find a few more options in terms of activities in other locations as well as some laid out walking trails. 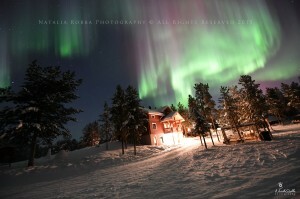 Overall I would rate Guesthouse Husky a 9/10 which makes it one of the better options when choosing a Northern Lights destination. It’s close by to the town of Ivalo, yet isn’t affected by light pollution to any significant degree so Northern Lights viewing is easy when there is activity and clear skies. Hosts are friendly, food is available onsite, its easy to drive to from the airport and there are activities available from the lodge, not to mention a stunning beautiful environment. 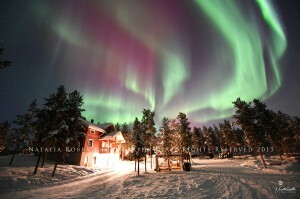 Here are some photos taken of the Northern Lights as well as general images from the area. 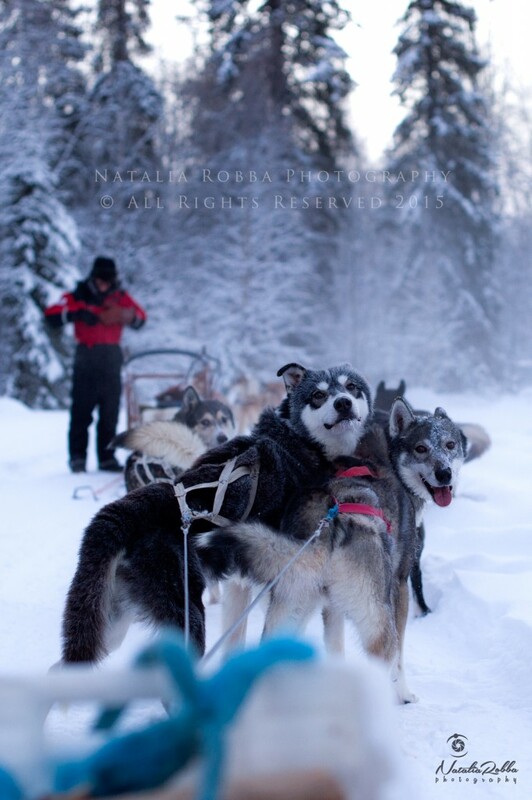 Very timely seeing this post, I have been researching a trip for next March and have only recently sent an email to Guesthouse Husky to check availability etc……..and then noticed your post and blog. 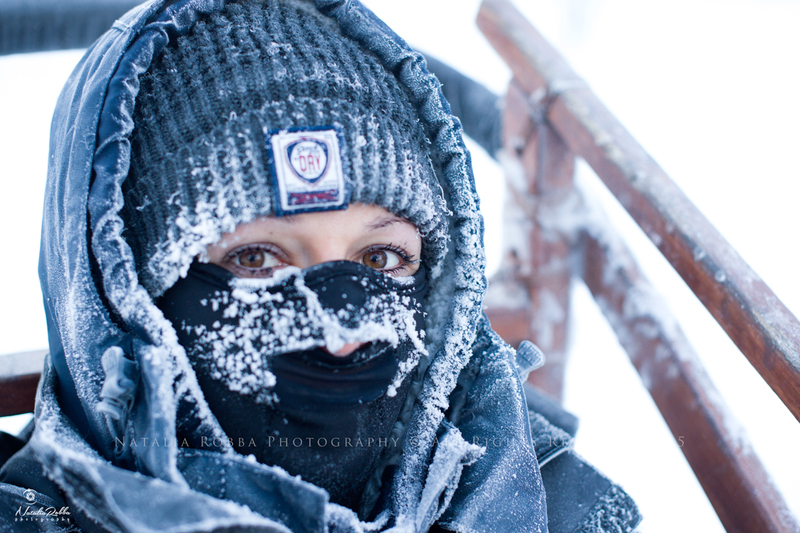 Great detail and photos, thank you for sharing with fellow travelers. Have you been to Kemi to do the Sampo Ice-Breaker cruise before? Would be interested in your feedback if you have. Happy travels! Due to some WP problems that I’ve just had sorted only seen this now! So sorry. I’ll answer anyway incase it still helps you. Yes Sandra, those activities can be arranged directly with Guesthouse Husky, with any of the staff. To be honest Sandra, if only for the experience alone then yes go ahead with the Aurora Bubble, but if its to enhance your chances of seeing the lights I would not spend the extra. The area around the Guesthouse is dark and away from light pollution and gives you fantastic chances to see the lights, just by stepping outside. You really don’t need to venture out, and this is why I rate this place so highly. I haven’t been to Kemi so I can’t helo you there I’m afraid, but I will google it now I’m curious! Planning my next trip to Iceland in 2016, will spend 10 days driving around the island. I’m planning for a trip to Iceland in FEB/MAR 2016. Would you mind sharing your itinerary and places where you will stay for chasing the northern lights ? Lovely post. We are visiting in December and staying at guesthouse. What’s the best way to take northern lights pictures? Yours are marvellous. Any special technique or camera? Hi there 🙂 Many thanks for visiting my blog. The guesthouse is such a lovely place and in a great location, I’m sure you will love it. As long as you have a camera that allows for you to control the aperture and shutter speed, you should be able to get some decent Northern Lights photos. 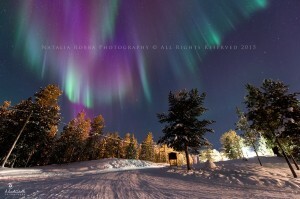 Have you seen me other post on Northern Lights Photography? What camera are you taking I’ll try to help out.